Western Michigan University Thomas. M Cooley Law School, Juris Doctor, 2007. Aquinas College, Political Science, 2001. Jeremey Poindexter was born and raised in the Midwest. Before making his way to South Carolina, he spent several years in the political realm. While securing his initial degree in political science, Mr. Poindexter held a position within the Office of the Governor. The time he spent in this position led to many other political and campaign positions over the following years. 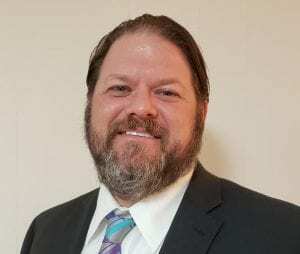 It wasn’t until 2003 that Jeremey Poindexter enrolled at Western Michigan University’s Thomas M. Cooley Law School, and formally entered the field of law. Upon graduation in 2006, Mr. Poindexter moved on to South Carolina and opened his own practice, focusing in on family and special needs law. In 2007, he joined the Toussaint Law Firm, P.C., and continued to practice until joining Robert J. Reeves P.C.. Jeremey has handled a full spectrum of family law cases— ranging form simple one-year divorces, to complex multi-million dollar asset divisions. Furthermore, he has ample experience in custody cases, as well as termination of parental rights actions. He even found himself appointed Guardian ad Litem in numerous family law cases. In short, no matter the type of domestic case you have, Jeremey Poindexter is likely no stranger to the circumstances. Jeremy is also a past representative for the 10th judicial Circuit on the South Carolina Bar House of Delegates. Furthermore, he was named as Fellow of the George Romney Institute for Law and Public Policy. Jeremey has two children, Calvin, and Adia, with his wife, Katie. Calvin has Down Syndrome, which has led Mr. Poindexter to volunteer much of his time to serving those with disabilities. He has served as President of the Meyer Center for Special Children’s Board of Director, as well as President of the their Charter School Board. Furthermore, he has served on the Board of Directors for the Down Syndrome Family Alliance of Greenville, and their Buddy Walk Committee. Through his many roles within these organizations, as well as his focus on Family and Special Needs law, Mr. Poindexter makes himself a unique proponent of both family law, and the special needs community.